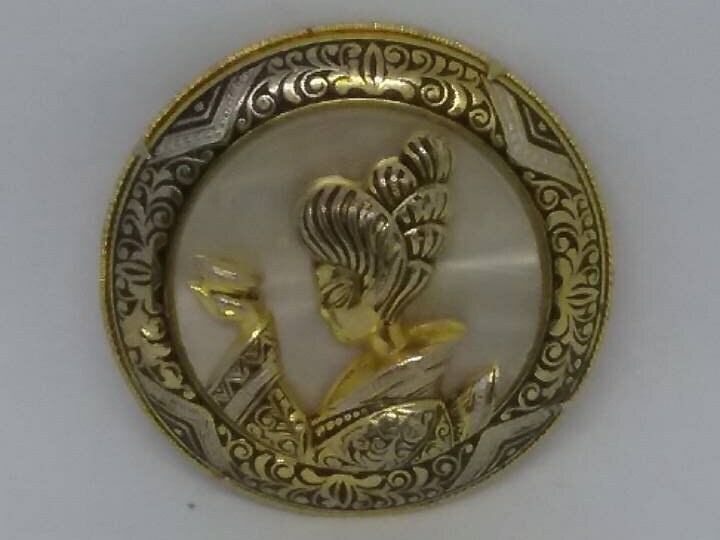 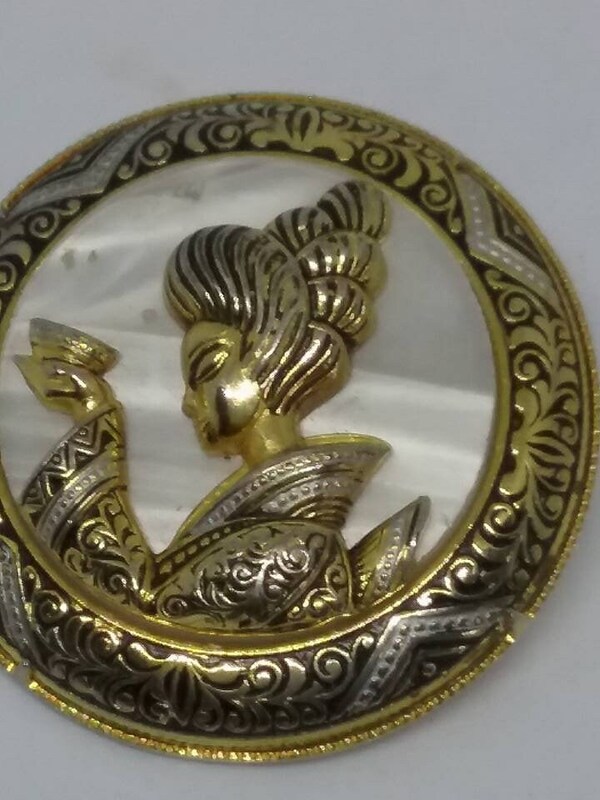 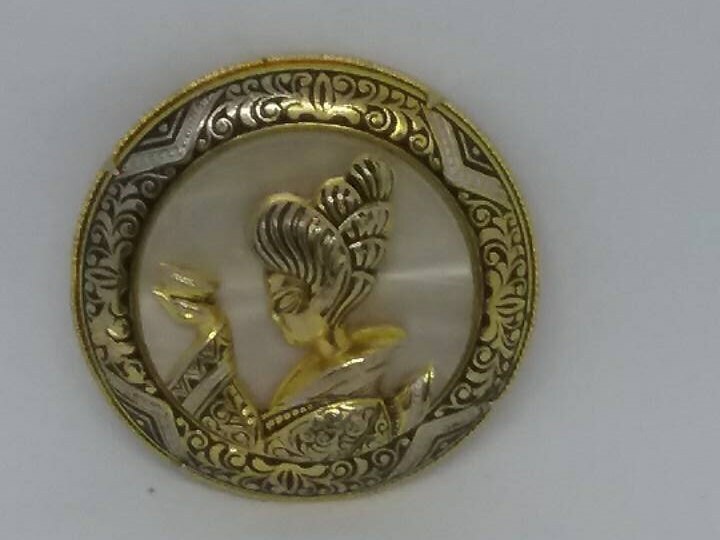 Vintage Damascene brooch of an Asian woman, mounted on a pearlescent background. 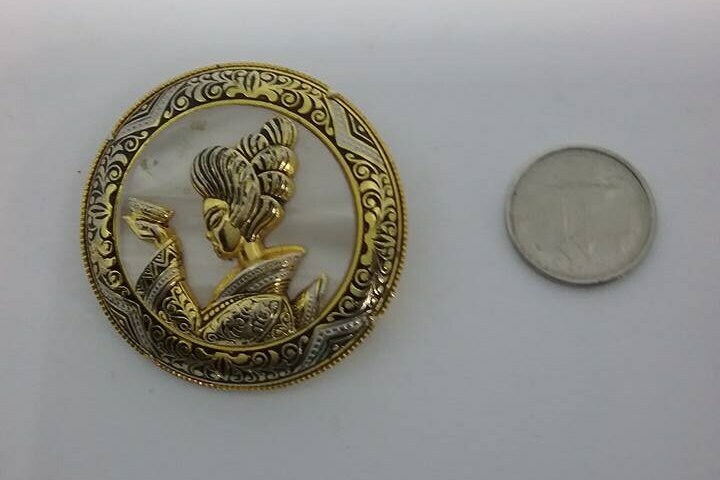 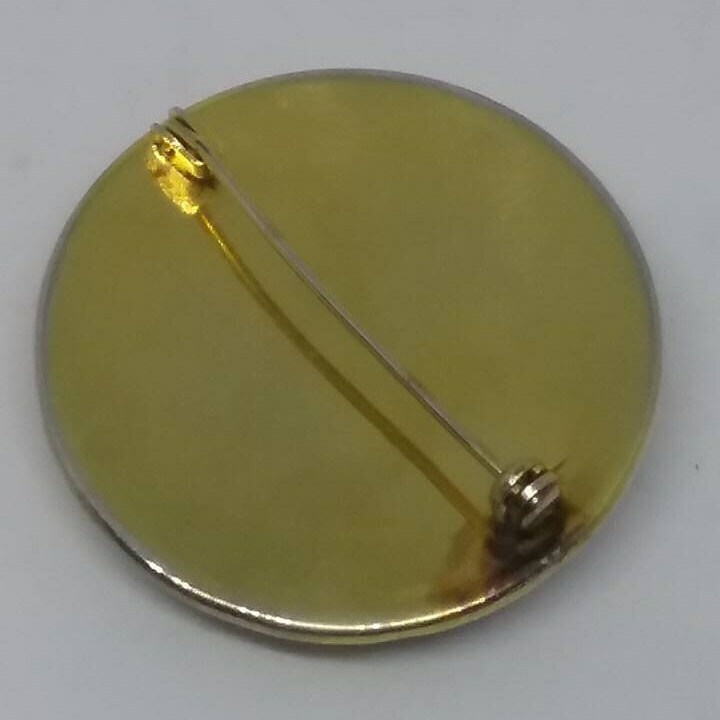 1.5" in diameter, it is sure to stand out on your scarf, dress, or jacket. 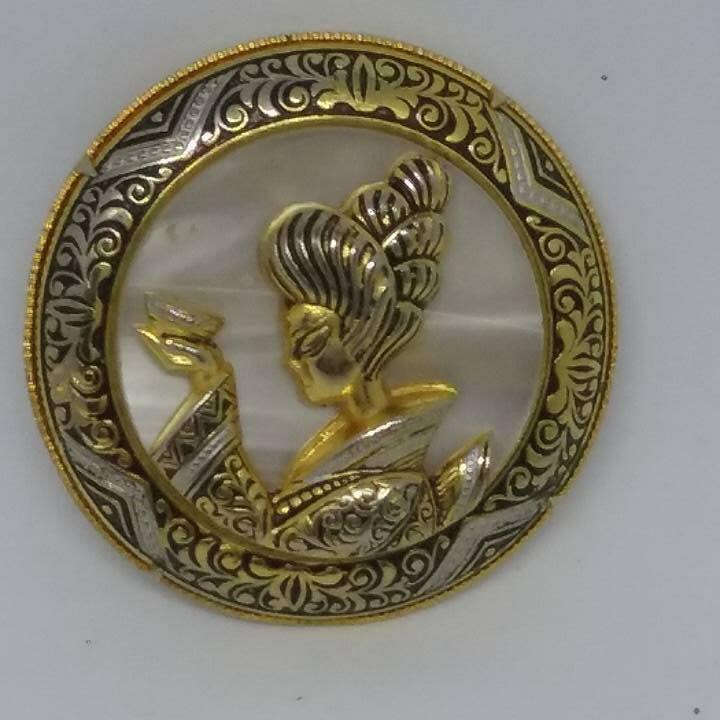 A beautiful piece in very good vintage condition.